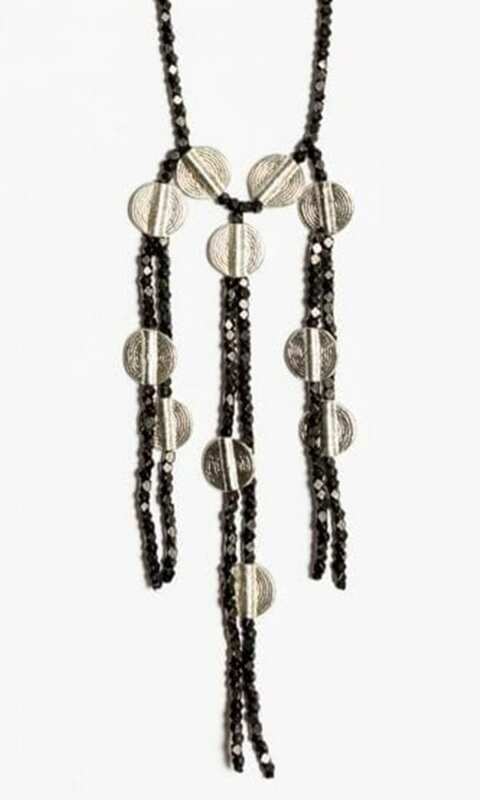 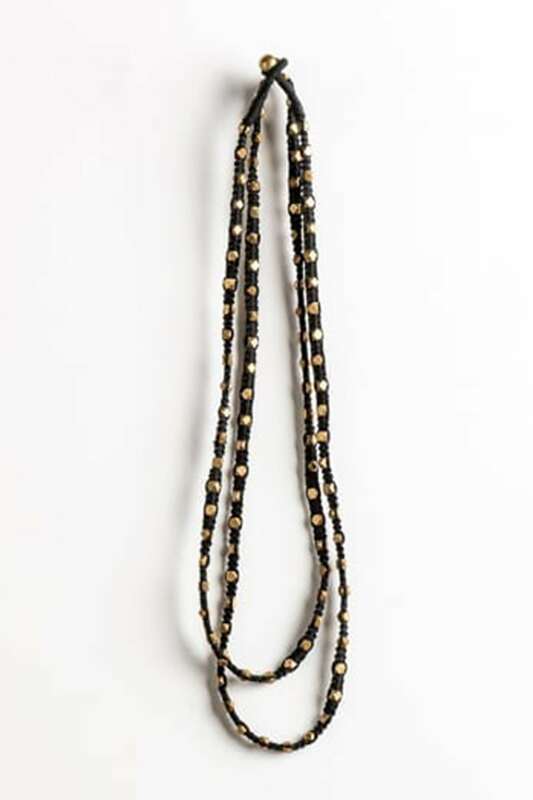 The Macrame Necklace is a part of a basic collection of handmade necklaces. 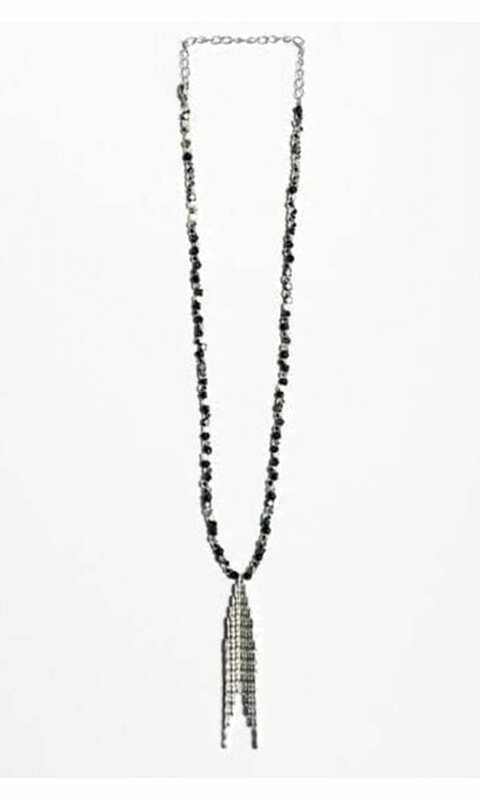 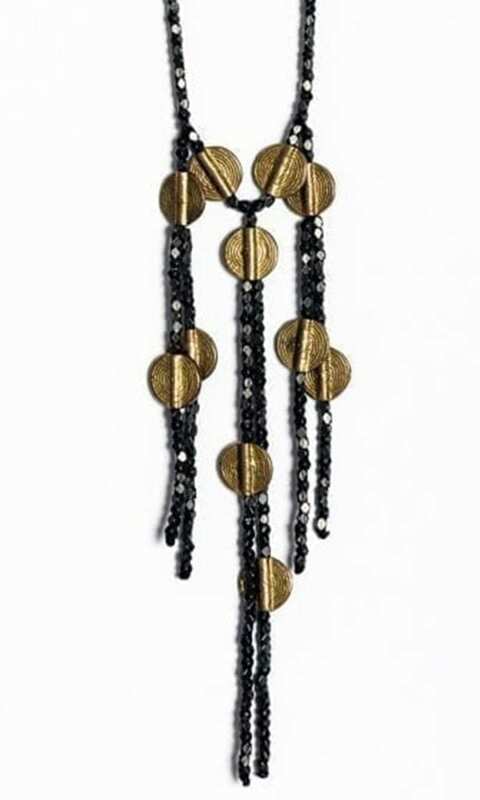 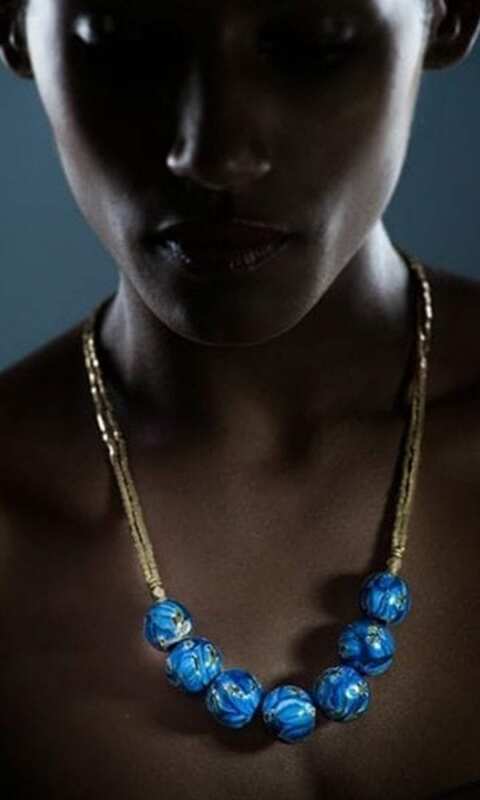 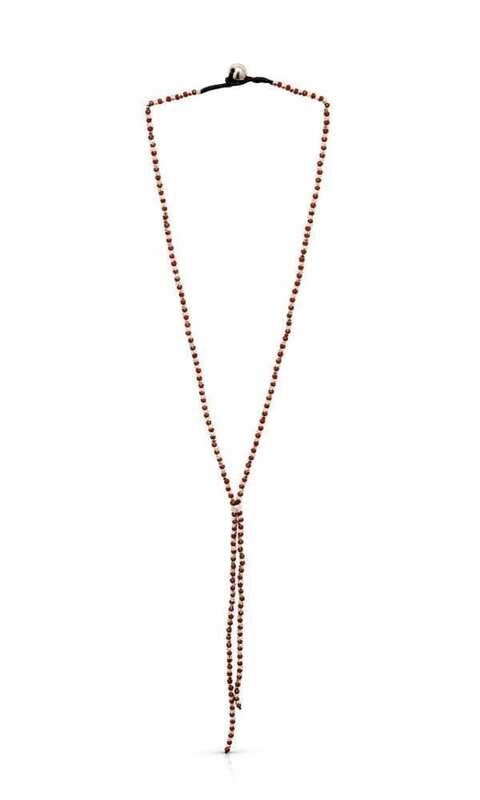 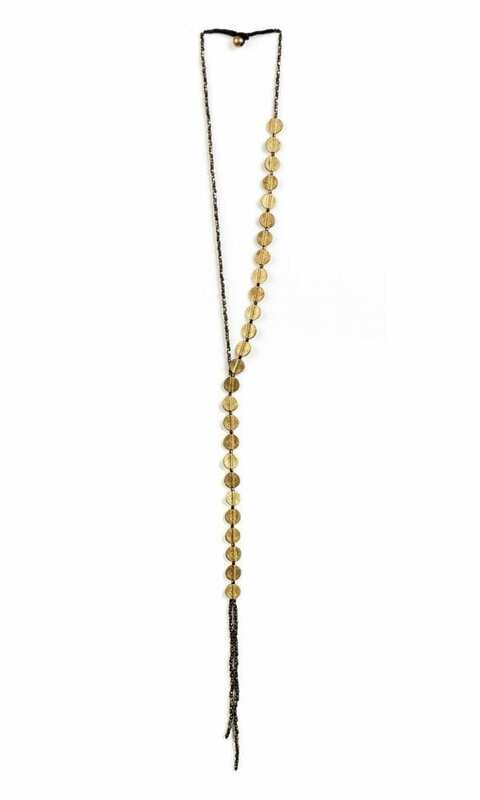 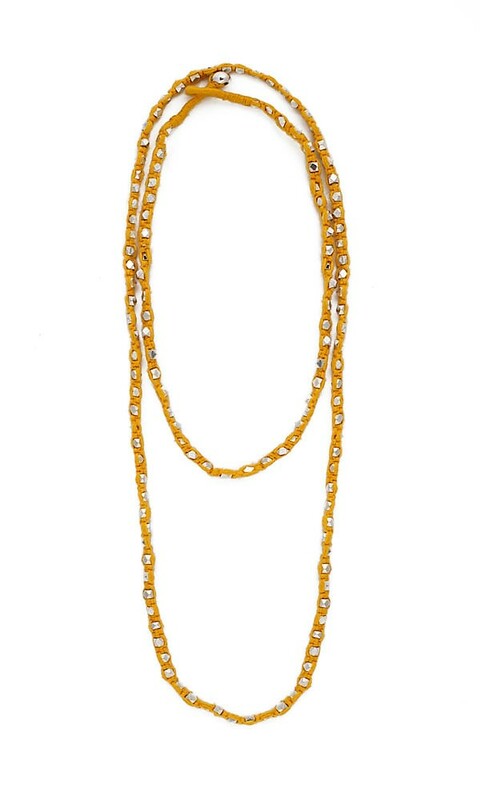 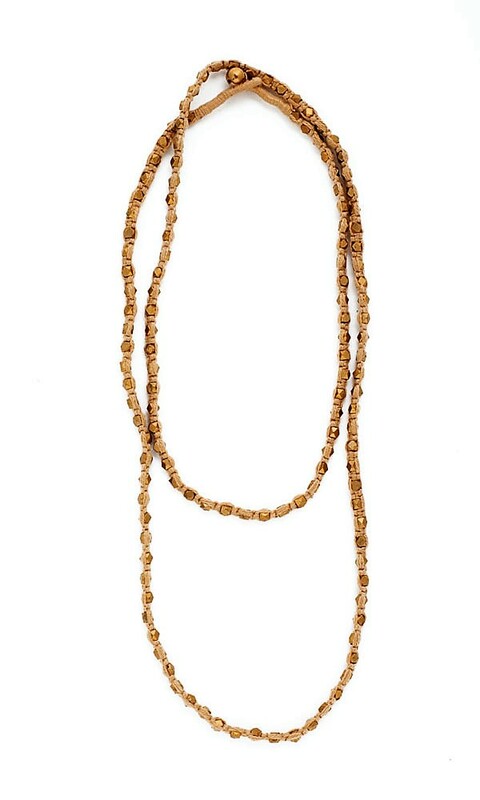 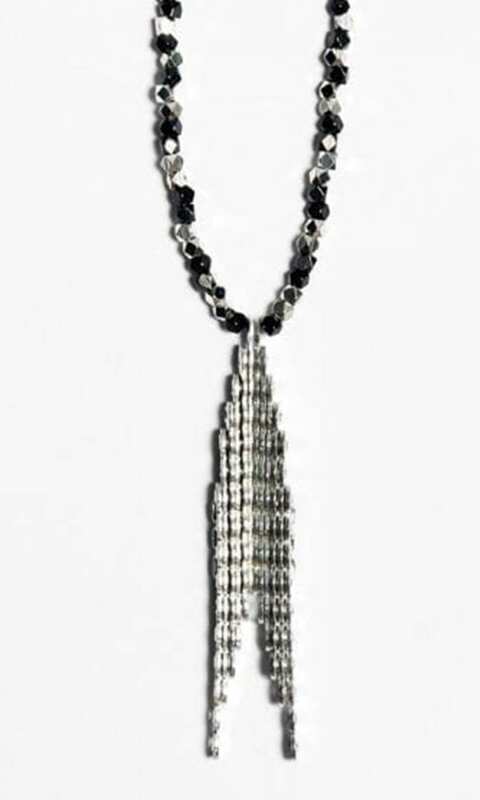 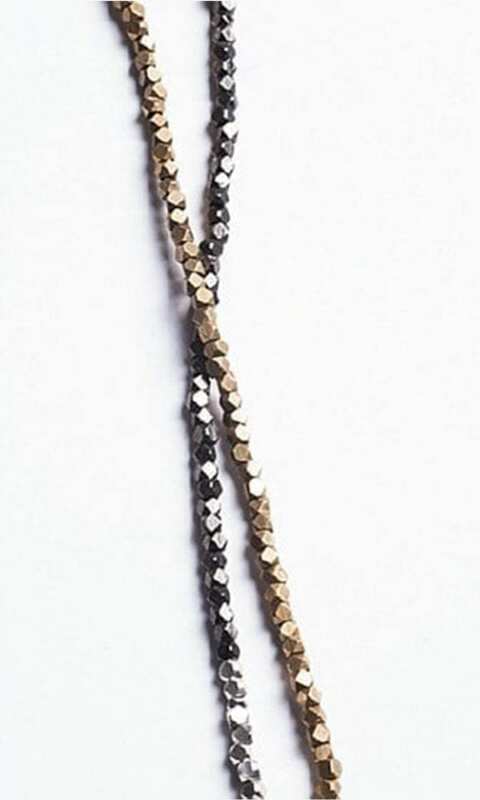 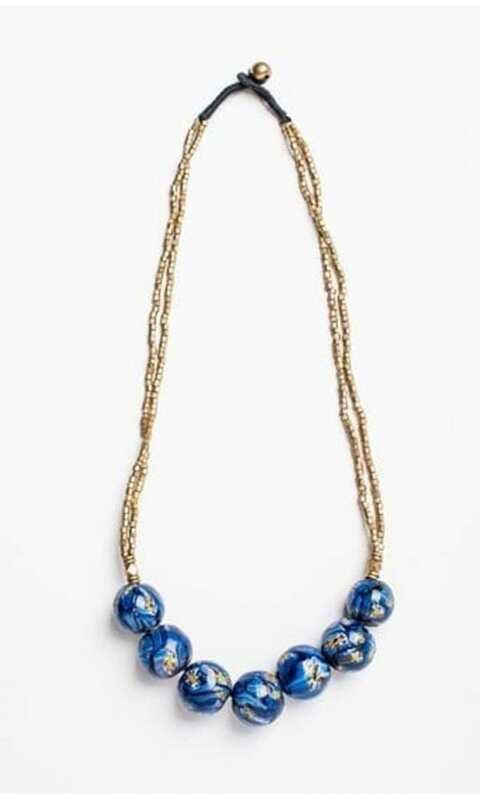 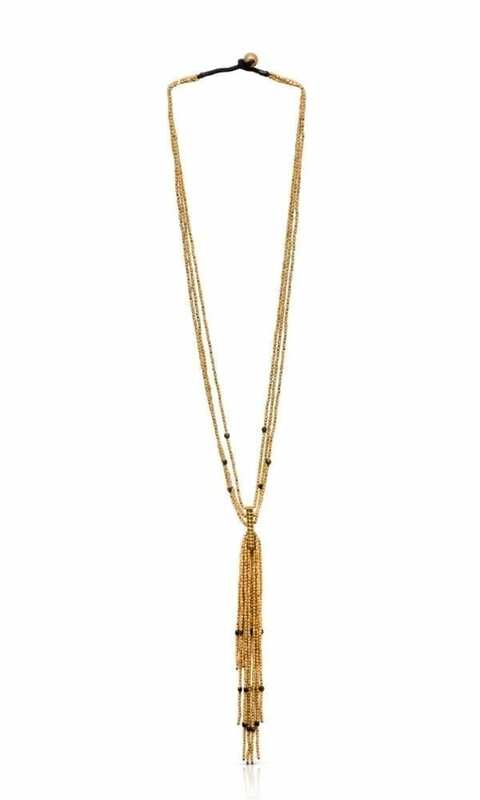 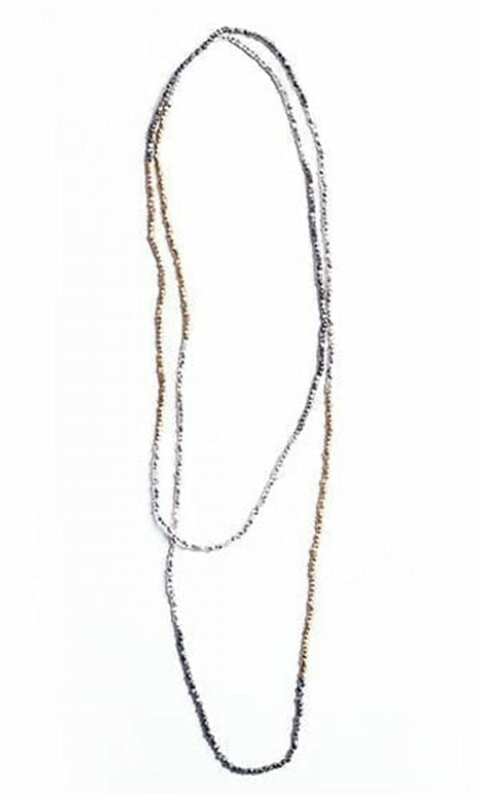 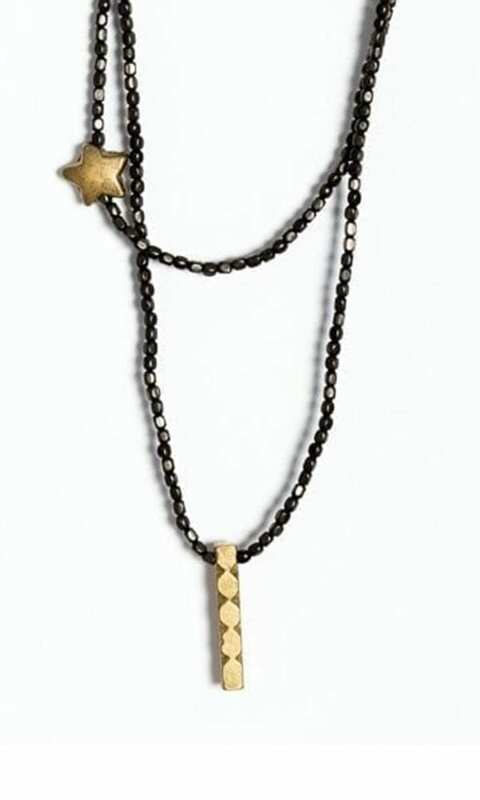 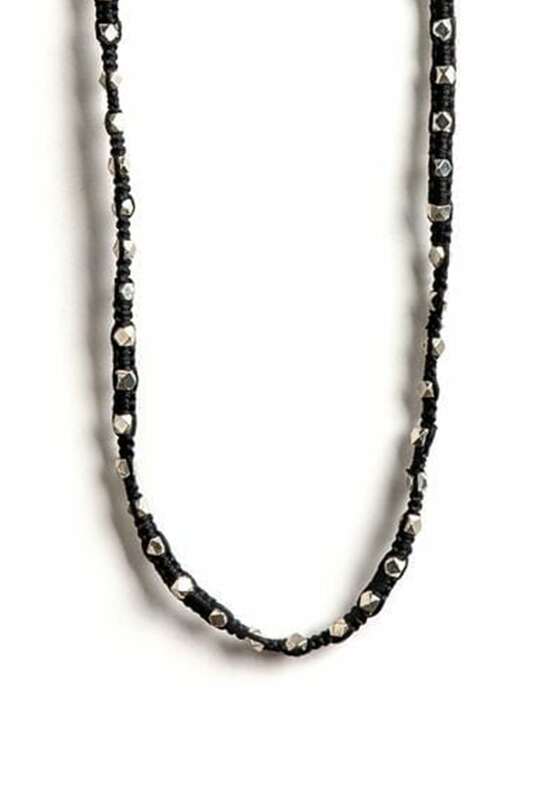 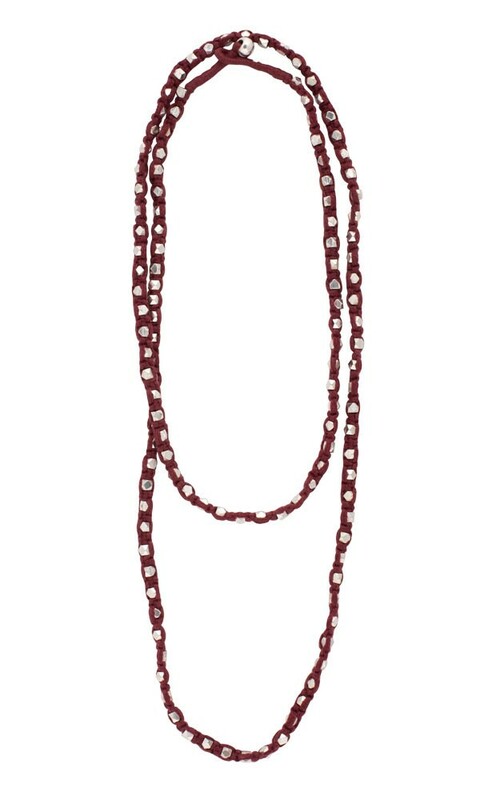 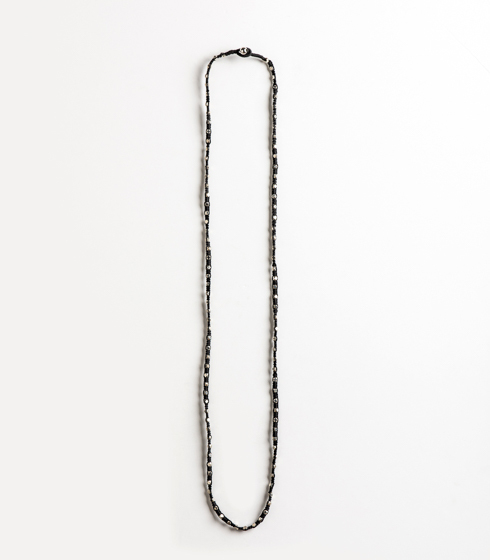 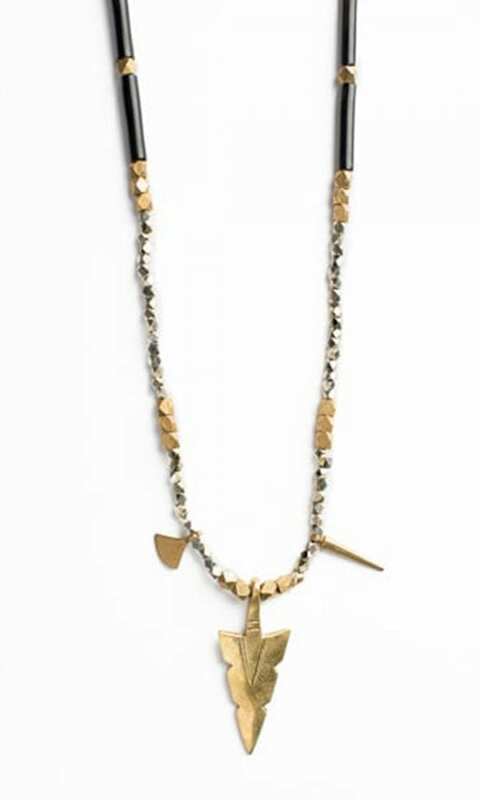 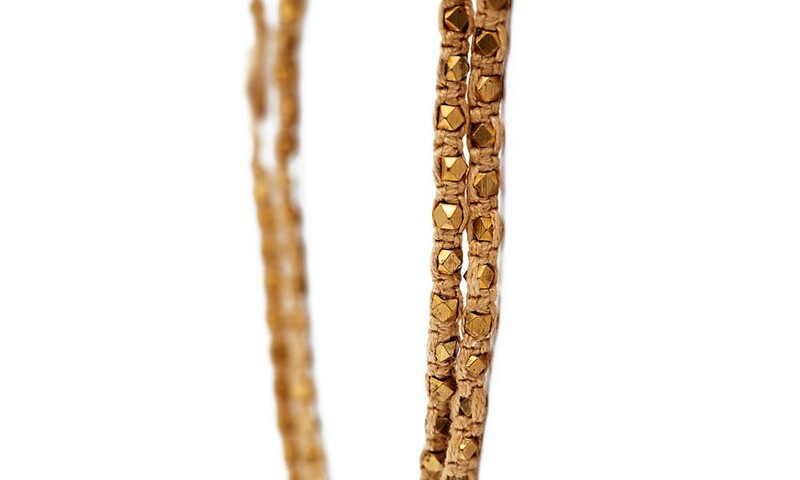 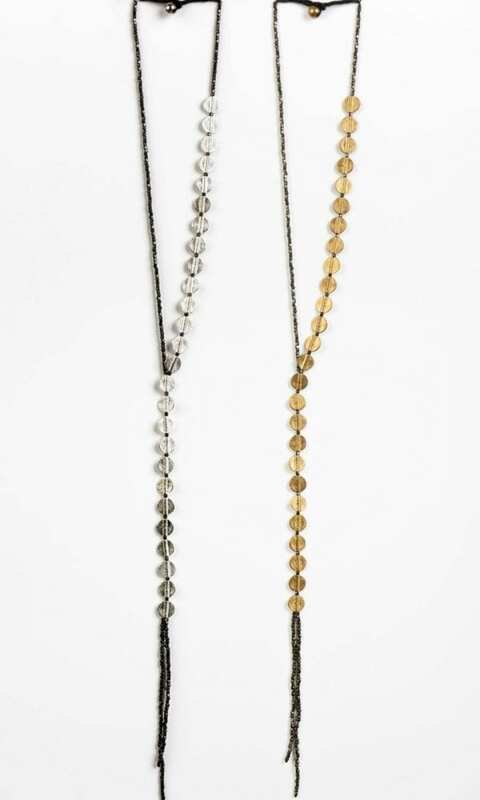 It is a minimalist long necklace made of brass beads that are woven into cotton threads using macramé techniques. 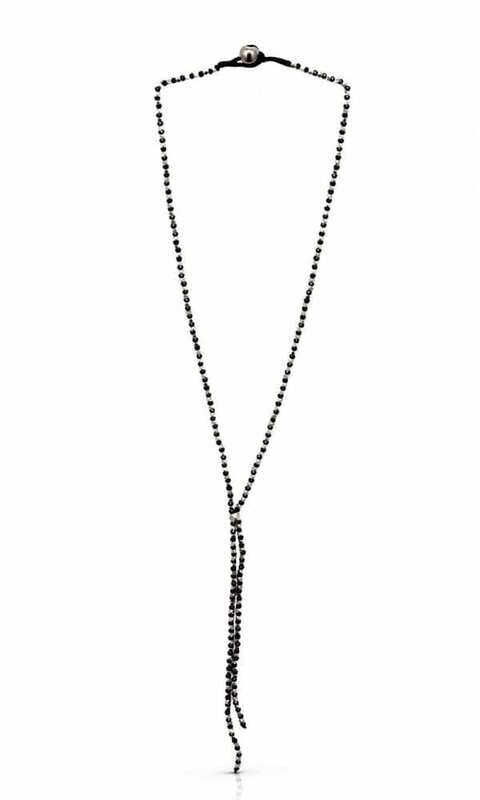 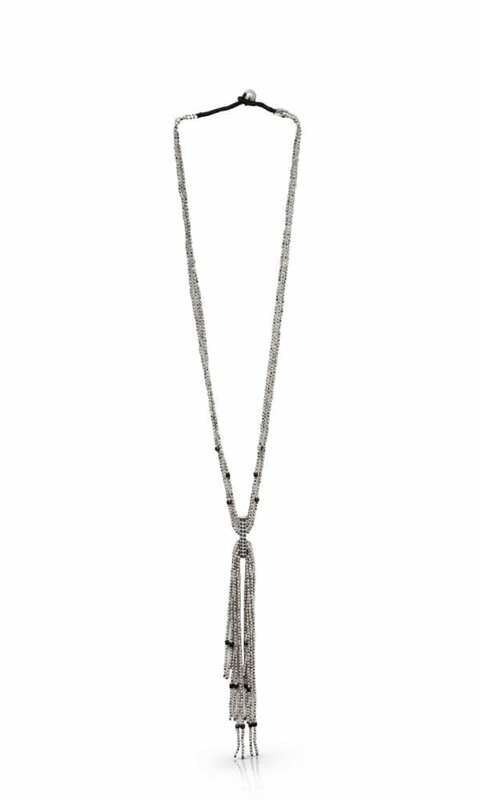 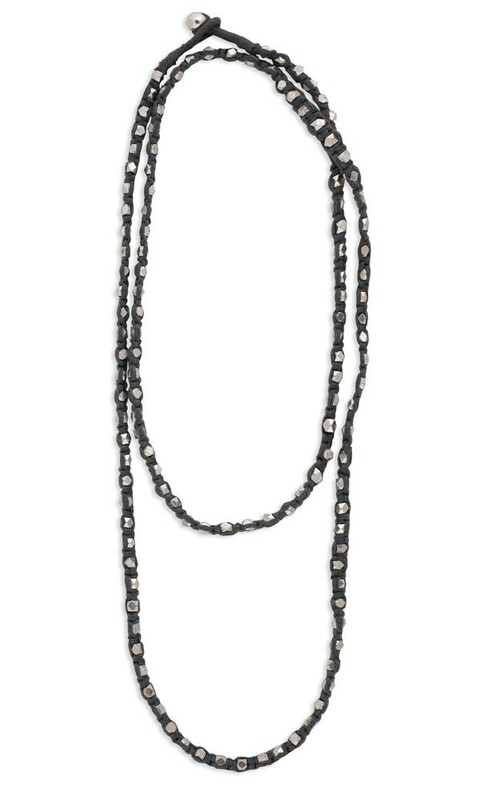 Wearing the Macrame Necklace is the easiest way to upgrade your everyday street wear. 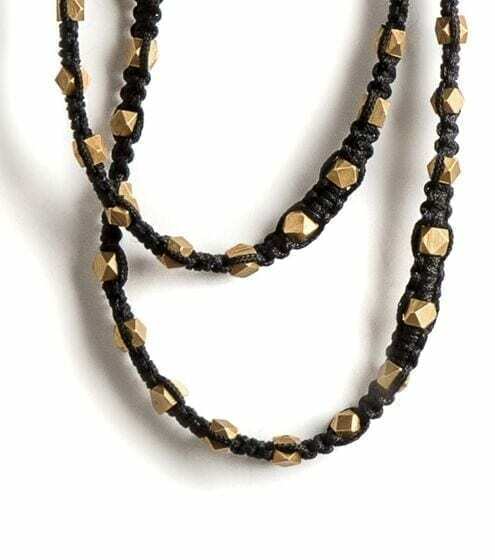 The Macrame Necklace is available in six color combinations: black cotton threads and gold-tone brass beads, black cotton threads and silver plated brass beads, grey cotton threads and silver plated brass beads, off-white cotton threads and gold-tone brass beads, red cotton threads and silver plated brass beads, yellow cotton threads and silver plated brass beads.